Posted by BJ Matson on Wednesday, October 31st, 2012 at 11:53am. The Oaks at North Bethesda is a perfect example of architectural expertise combinding with 21st Century homebuilding technology to achieve a new expression of luxury home living. The idea for The Oaks at North Bethesda began in the early 2000's with a 20 acre area of land that had gone undeveloped for almost 40 years. After 3 years of planning and design by a team of experts, whose goal was to build the "best and finest" construction finally began in 2004. Their design was based on the concept of French Country/Provencial-style. The five distinctive single family model homes they designed have a multiple of exteriors, different architectural facades and a variety of floor plan options. The homes at The Oaks at North Bethesda are made up of 5-6 bedroom, 4.5 - 5.5 bath room single family homes ranging in price from $1.2 - 1.7 million. Each home has a Spectacular family room, Formal living & dining rooms with carpet or wood flooring, Ceiling fan(s) throughout, Luxurious master suite with full master bathroom, Separate shower in master bathroom, Separate tub in master bathroom, Walk-in closet(s), Kitchen has Wood Flooring, Granite Counters, Kitchen island, Separate dining room, Wall to wall carpeting, Washer/dryer hookups, Wet bar, Full basement, Foyer, Library, and Recreation room. The community is surrounded by some of the best schools Montgomery County MD has to offer. Luxmanor Elem School, Tilden Middle School and Walter Johnson High Schools all serve the community. Walter Johnson HS is ranked 5th within Maryland public schools and has a very strong Advanced Placement (AP) program. 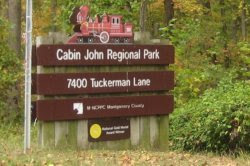 The Oaks at North Bethesda is a short 5 minute drive to one of Montgomery County's largest sports and recreation parks, Cabin John Regional Park. The park has athletic fields, including the beautiful Shirley Povich Baseball Field; a full-service ice-skating rink; indoor and outdoor tennis courts; many picnic areas, over 5 miles of biking/hiking trails, camp sites, and a half acre dog park. Kids of all ages can enjoy the miniature train that runs through the park and most of the facilities are wheelchair accessible and pet friendly. The Montgomery County Aquatic Center is also a short 5 minute drive away. The Center provides a variety of recreational water activities for all ages which include: an 8-lane L-shaped main pool, divided into two 25-meter swim areas, a warm water leisure pool, two separate hydrotherapy pools, a 10-meter diving platform and interior water slide, an exercise room, snack bar, locker and shower facilities, saunas, lighted outdoor jogging trail and enclosed racquetball courts. The Bethesda Trolly Trail is also a short walk from the community. The trail is located along an old trolly rail way used in the late 1800's to transport people to work in DC. Today the trail is over 6 miles long and is used by bikers, runners and pedestrians. 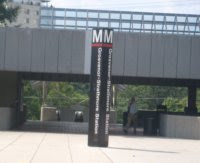 The Grosvenor-Strathmore and White Flint Metro stops are both located about a mile from The Oaks at North Bethesda community providing fast and easy transportation to any where in the DC Metro area. The Music Center at Strathmore is also located about a mile away and is within easy walking distance from the community just down Tuckerman Lane. The music center provides year round performing arts and entertainment of all types for all ages. The community is also a short 5-10 minute drive to many of the areas best grocery and shopping malls. Montgomery Mall, White Flint Mall, Wildwood Shopping Center and Cabin John Mall all service the residents of The Oaks at North Bethesda with banks, restaurants, and many many shopping stores.